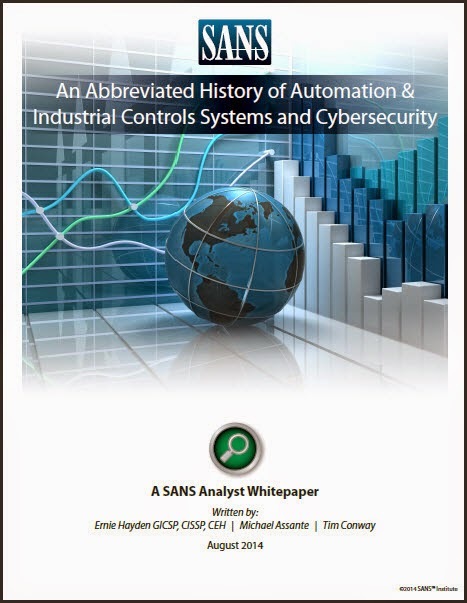 System (ICS) and Supervisory Control and Data Acquisition (SCADA) security -- and I were talking about some ideas for SANS Analyst white papers and an idea surfaced to prepare a white paper introducing the SANS reader to elementary industrial controls theory and to the chronology of ICS cybersecurity. Overall it was a fun paper to research and write with some good stories about the first Programmable Logic Controllers (PLCs). Also, the chronology built by Mike Assante and Tim Conway and included in the paper is a great way to get oriented to the challenges in this domain which are broader than Stuxnet.